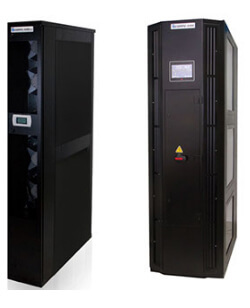 A Computer Room Air Conditioning (CRAC) unit is designed for applications where close control, high precision air conditioning is essential, including data centre cooling, medium and low density server environments, telecom switching stations, medical operating theatres and clean room environments. Ceiling Mount Systems can be configured in either free air discharge or ducted applications. With many possible configurations, there is a system available to fit the temperature and humidity control needs of any room. Installation is fast, operation is quiet and maintenance is simple. The Roof Top packaged system is designed and engineered for an outdoor installation. 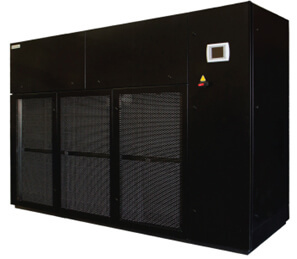 The Rooftop unit, referred to as an RTU, is versatile for a wide variety of applications. 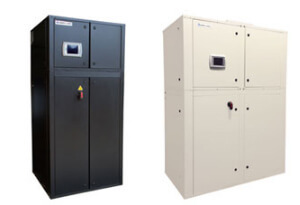 An RTU is a durable, industrial strength line, and designed to weather any challenge. Floor Mount Systems Floor mount systems product line is made up of optimal features, energy efficient premium products that are available in sizes and configurations to suit any application, even corrosive industrial process environments. Compu-Aire Inc.’s floor mount systems product line is made up of optimal features, energy efficient premium products that are available in a variety sizes and configurations to suit any application, even corrosive industrial process environments. It is available in capacities 2 to 100 tons in chilled water systems. 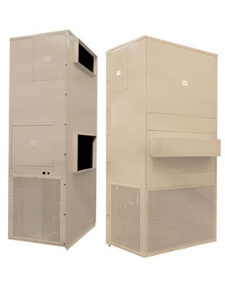 With the outside air economizer systems can maximize the savings in energy consumption and environmental friendly. When the air conditions are right. 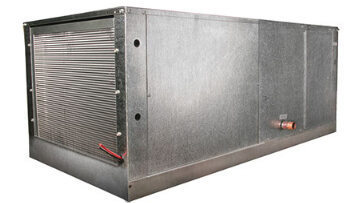 Ventilating spaces without the compressor or fans with can reduce operation hours, minimize wear and tear and save energy. The In Row Systems are designed as supplemental and to provide cooling in a horizontal direction, creating a new way to position the units. The In Row Systems can be positioned between the racks, creating a more even dissipation of extreme heat from the servers. Remove the excess of heat of your mission critical facility effortlessly with an extensive live of heat rejections systems.